Casual Striped Canvas Backpacks is in Striped pattern, classic and Latest. Made of long lasting canvas and PU fabric, no fading and no bad smell,casual Fashion. Structure: Front zipper pocket, inner secret zipper pocket and two card pockets. 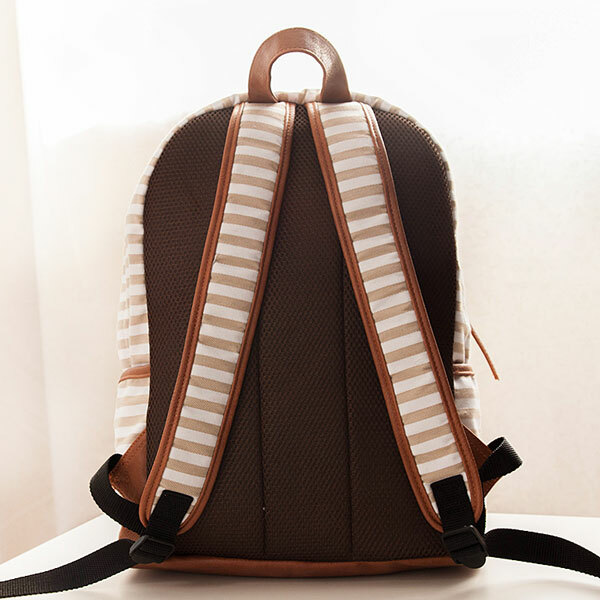 This Latest Stripes Canvas Backpack Schoolbag is very good for school students and young ladies.